The Cincinnati Reds are coming to Louisville! 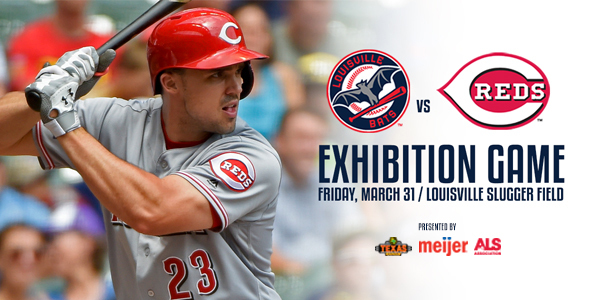 Don't miss this unique opportunity to see the Reds play against the Bats at Louisville Slugger Field on Friday, March 31 @ 6:15 PM. The game will give fans the first glimpse of the 2017 Cincinnati Reds playing against the Bats in their final game leading up to Opening Day. 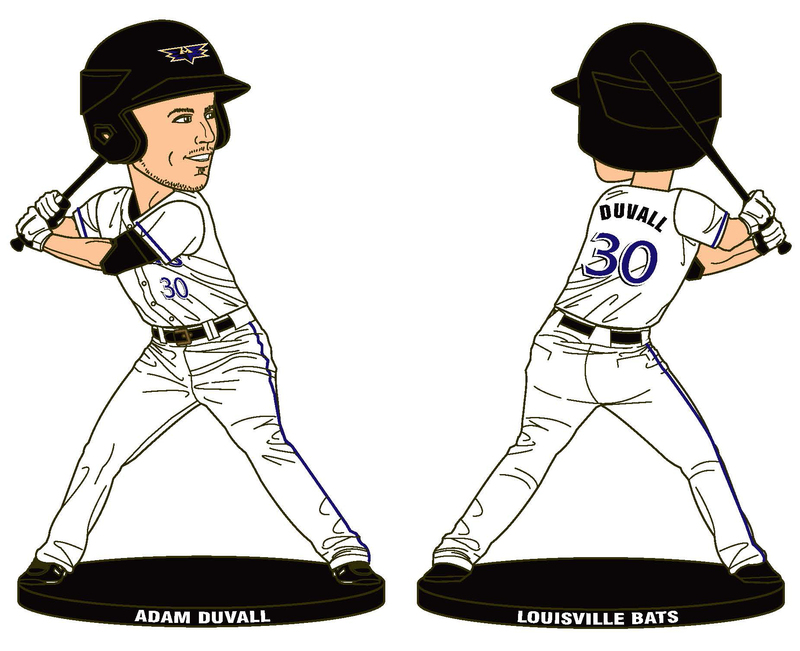 Arrive early and receive a free Adam Duvall bobblehead! First 5,000 fans only. Gates open at 5:00 PM. One per person. Paid admissions only. Exhibition Game + Two Regular Season Home Games + Three Guaranteed Bobbleheads. Packages start at ONLY $39! Guarantee yourself tickets and the best available seats for the Bats vs Reds Exhibition Game when you purchase a 3-Game Big Red Pack! Each 3-Game Big Red Pack includes tickets to the exhibition game plus two of our most popular weekend home games during the regular season. 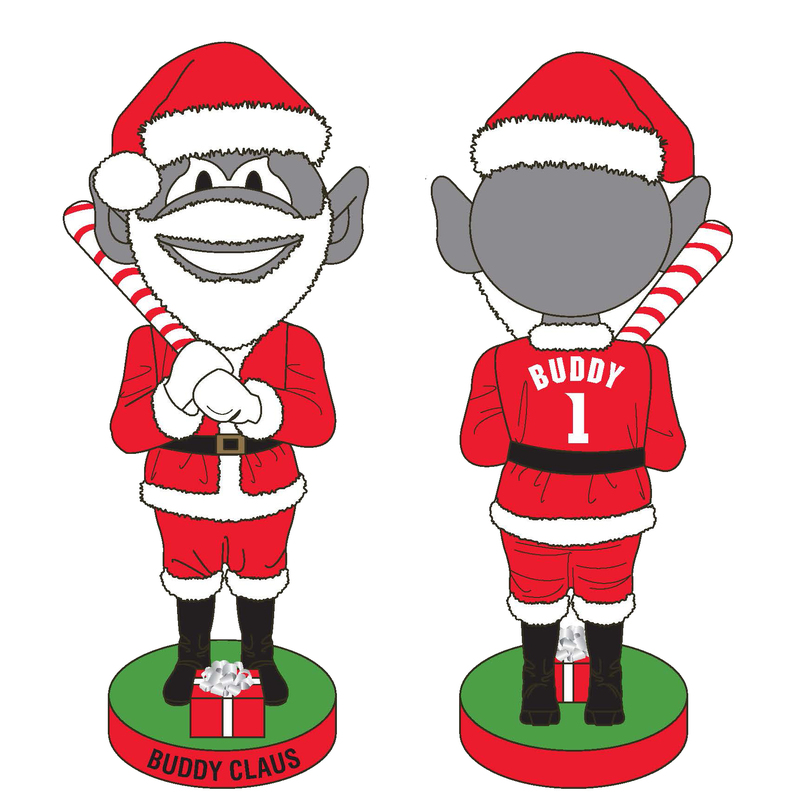 In addition, when you attend each game, you'll be guaranteed to receive a bobblehead on the night of the game. * Guaranteed bobblehead. Must be present on the night of the game to receive bobblehead. 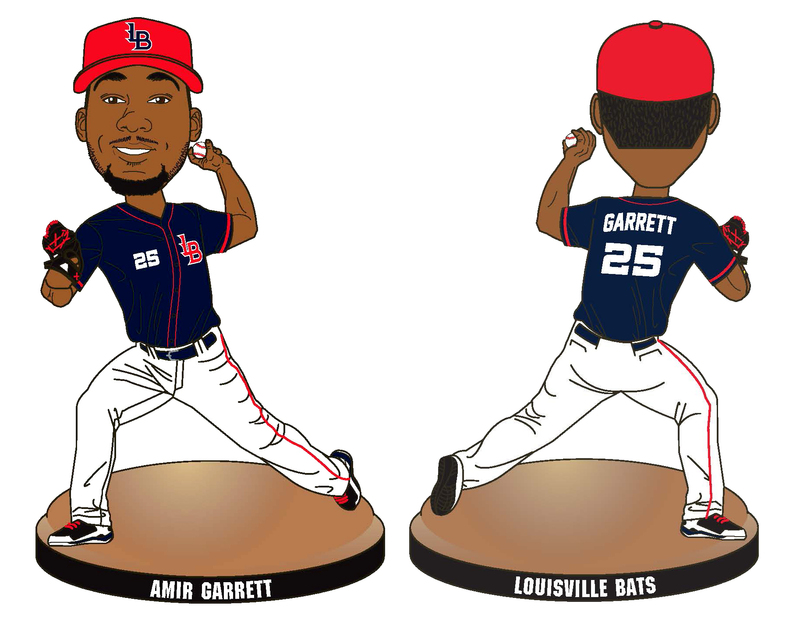 To purchase tickets by phone or to speak with a Bats representative please call the Louisville Bats Front Office at (502) 212-2287. Tickets may be purchased in-person by visiting the Bats Advanced Ticket Office window at Louisville Slugger Field during normal business hours (M-F, 10am-4pm). Includes Reds Exhibition Game ticket, two regular season games & three guaranteed bobbleheads. 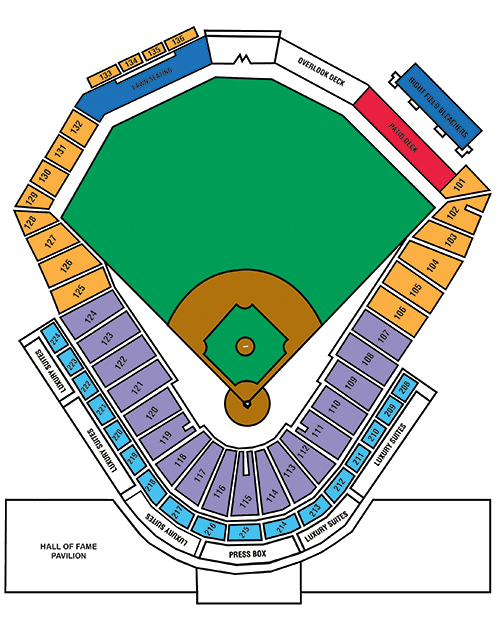 Includes Reds Exhibition Game ticket only. * Club Level seats include $5 in Team Store/concession credit automatically preloaded on each ticket. Includes Reds Exhibition Game ticket + guaranteed Reds hat. Includes Reds Exhibition Game ticket + guaranteed Adam Duvall bobblehead.